Well in case you didn't already know, I'm a complete sucker for anything having to do with Halloween and witches, especially if it has Better Homes and Gardens written all over it! 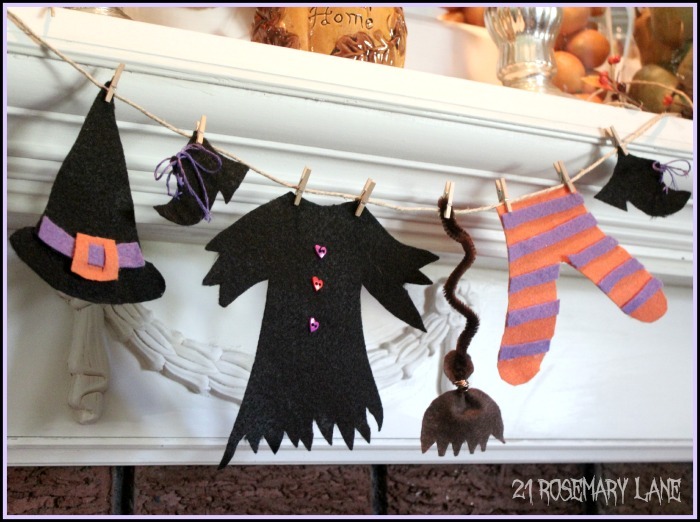 This adorable miniature witch's clothesline came out of this year's BH&G special Holiday Crafts issue...and what else can I say but that I simply fell in love with this adorable little craft idea! 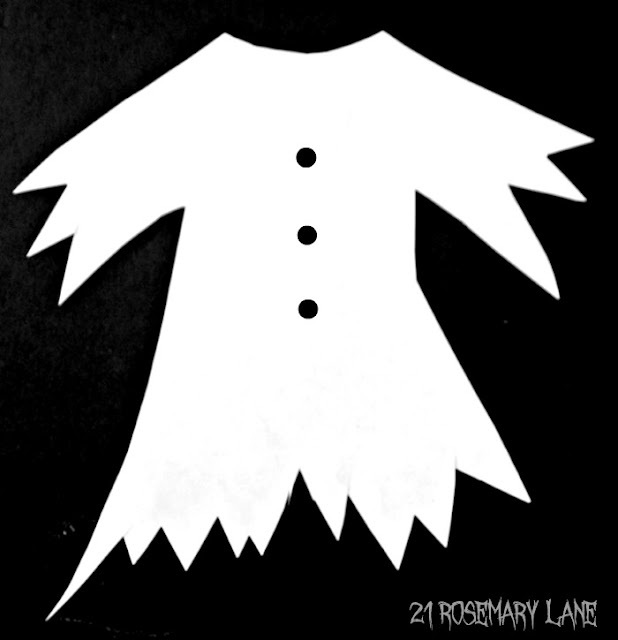 First create your templates for the witch's clothes by using regular old computer paper. Hold a piece of paper up to your computer monitor and trace the following images with a pencil. 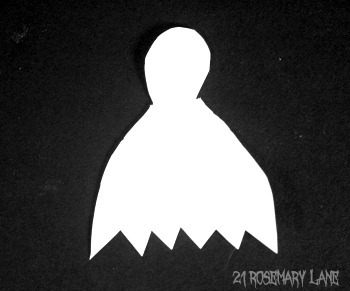 Once completed, cut out your paper shapes and then lay them on their respective felt colors. 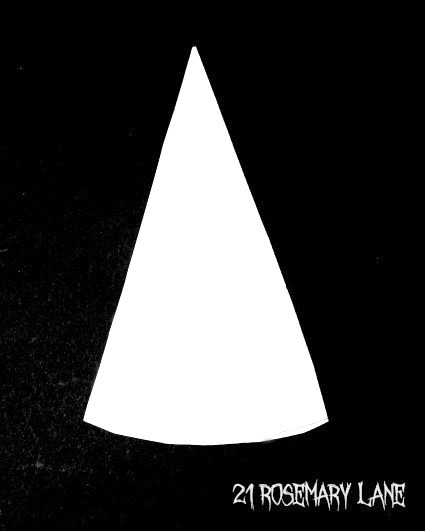 Trace the shapes onto the felt using either white crayon or chalk, and then cut them out. I realize these images are not perfectly even, but once you cut them out and put them together they really do look quite charming. 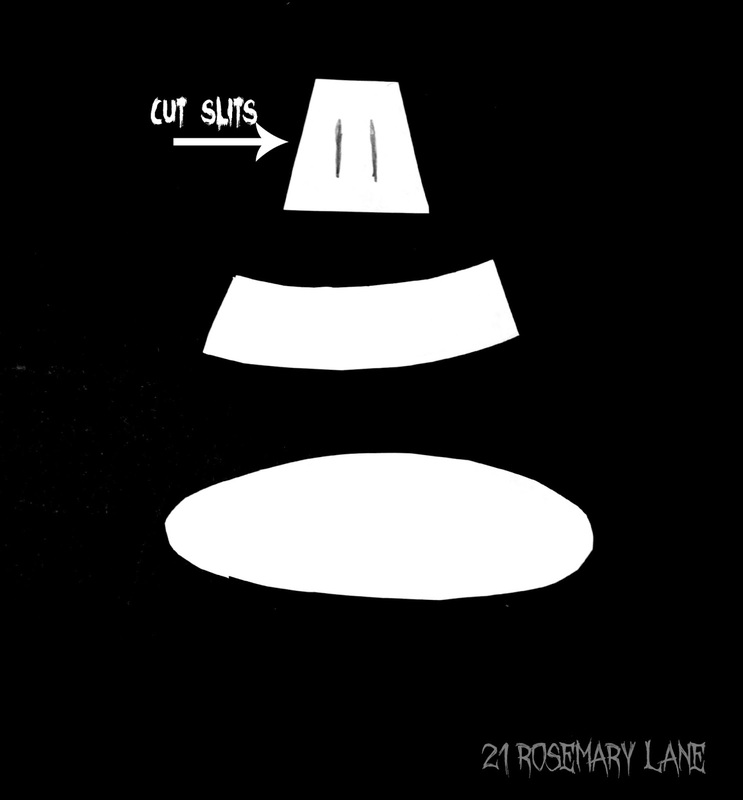 Now that you have all your felt pieces cut out, it is time to assemble your witch's attire. Starting with the dress, single stitch on the three buttons. I could only find heart shaped buttons in 1/4 inch size, but I think the hearts make the dress even more darling! Next is the hat which is pretty self explanatory. Glue the conical part of the hat to the oval brim, and then thread the hatband through the buckle. To cut slits in the buckle I simply folded the piece of felt representing the buckle in half and cut almost to the edge. Once this is done glue the headband and buckle to where the hat and brim meet. For the shoes, cut two out of the felt and place one shoe facing to the right and one to the left. 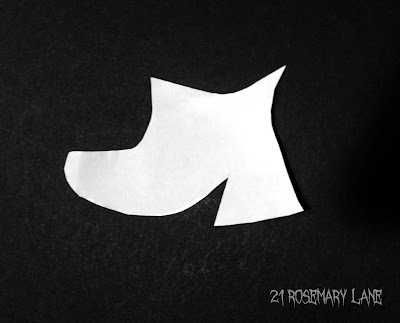 Using your embroidery thread, make three cross stitches one each shoe and secure the thread in the back with a knot. Then pull through a single piece of embroidery thread above your cross stitches and tie it in a bow. To make the stripes for the stockings I just measured out the waist, hips and each leg and free handed my own strips for them. 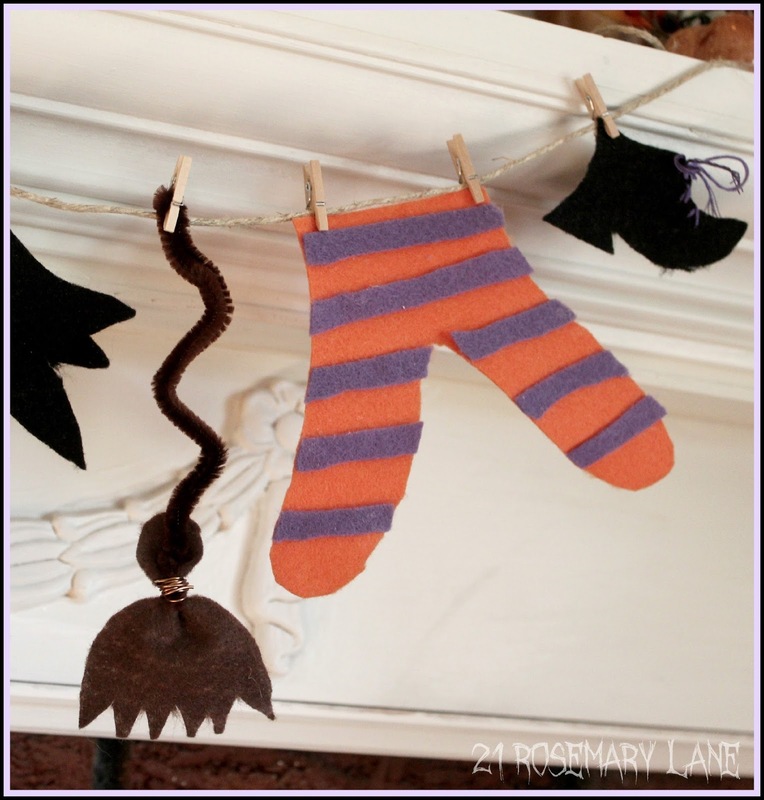 Lay the stripes out to make sure they are even and then simply glue them to the stockings. Finally, to create the broom bend your piece of chenille pipe cleaner in half. Then take your felt bristles and wrap the copper wire around the neck of the bristles somewhat securely Now bend the pipe cleaner so it forms a bit of a zig-zag. Using the jute twine, clip miniature clothespins to the witch's clothes and hang them from the twine! If you like this cute clothesline idea you will absolutely adore the special craft issue of Better Homes and Gardens. 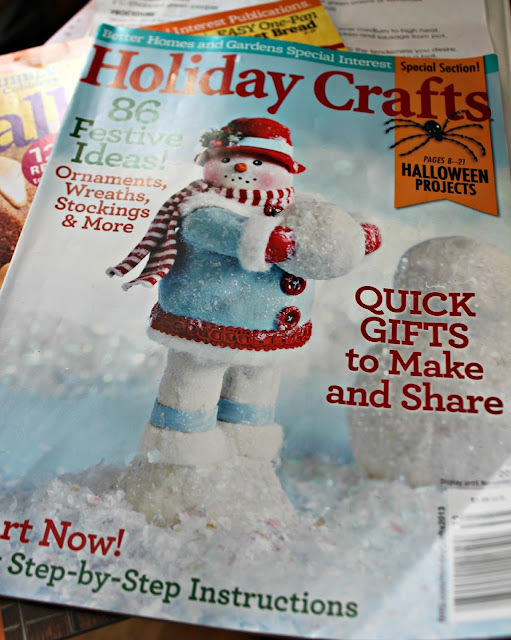 Not only does it have some fun and easy Halloween projects, but it is fully loaded with really clever Christmas craft and gift ideas! Grace and Michael loved this little clothesline...but hey they LOVE anything having to do with Halloween. And since mommy is a blogger in this little part of the blogosphere, they get an early jump on all of the holidays!!! I hope you are enjoying a wonderful week and wishing you a very happy first weekend of fall! Note...All of the materials needed to make this project, with the exception of the miniature clothespins which I bought at Michael's craft store, I purchased at my local Walmart. Barbara, this is so cute! You always have the most adorable craft ideas! Hope you're having a great day! This could be the cutest Halloween thing I have seen this year! I LOVE it! Thanks so much for sharing all the details! Darling! Love your witches clothes line. What a cute and fun idea. I may have to make one myself. This is so adorable. I know my Granddaughter will love making it with me. Thanks for sharing. The clothesline is just adorable! I will be making one this weekend for sure!!! I'm going to hang it in my classroom, the kids are going to love it! LOVE this fun twist on Halloween decorating! My children would love to make this for our mantel! Love this! Witches are my favorite Halloween thing too. this is so super cute, the kiddos would love it too!! Fabulous idea! I have a Santa & Mrs Clause clothesline... 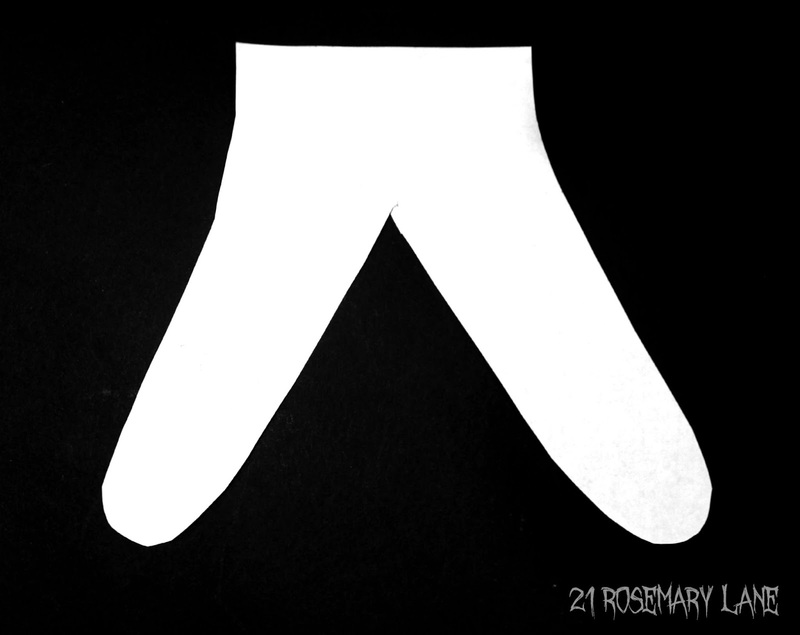 I believe they came from an Avon catalogue, but I didn't think of making one for another occasion! 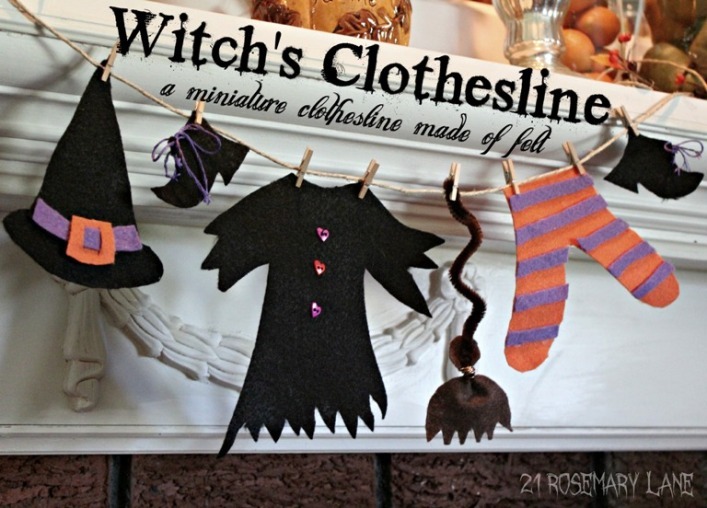 This witch's clothesline is right up my alley - thanks for sharing! I have to find it!!! I love it!! I have a Mr & Mrs Clause clothesline - believe I got it from an Avon catalogue - but didn't think about making one for other occasions! 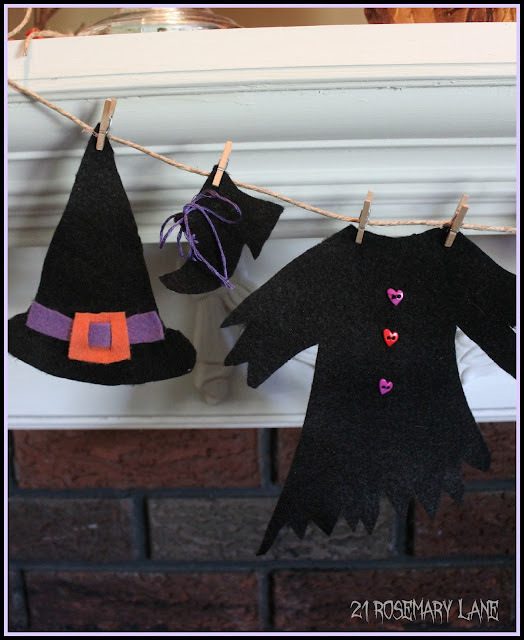 This witch clothesline is right up my alley :) thanks for sharing! Barbara, What a darling Halloween garland! How creative!!!! I got my big smile for the day! Thanks for sharing your fun witch clothesline at TUTORIALS TIPS AND TIDBITS! I made this today and posted it!!! I made it completely out of construction paper and I think it turned out darling! Thank you so much for this idea... More please! So fun Barbara. Your little clothesline turned out so very cute! Thanks for sharing with SYC. This is the cutest I've seen! I love it. Pinning this to make with my little girl!! Thanks for sharing! Found you over at StoneGable!! Super cute!!! Pinned:) I <3 witch crafts and I've been working with felt this week too. I posted witch hat pin cushion to this week's parties. Following your soc media now! I really appreciate your work. Thanks for sharing!